When you're approaching your bathroom design project, functionality should be at the top of your list, but you don't want your space to be lacking personality. According to NorthJersey.com, increasing numbers of homeowners are using uncommon decorative accents and are paying particular attention to detail in bathrooms to make them showpieces for their homes. "Bathrooms are more than bathrooms today," Mitchell Mayfair, co-owner of Mayfair Antiques, told the news source. "People want a beautiful environment - it's just part of the house they want to make pretty." With this in mind, many of your best decorative accents can come from re-purposed or antique items that can help your room tell a story. 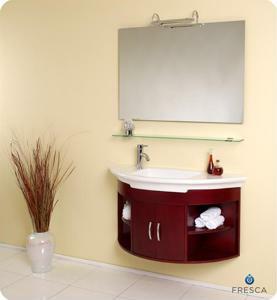 Elegant mirrors, additional cabinets for storage or even an old restored trunk that can hold towels and toiletries will look right at home in your bathroom. While you may be sifting through interior design magazines to find the hottest trend, oftentimes it's your own personal taste in bathroom accessories that can make a space shine. What uncommon objects can perk up the look of a washroom?